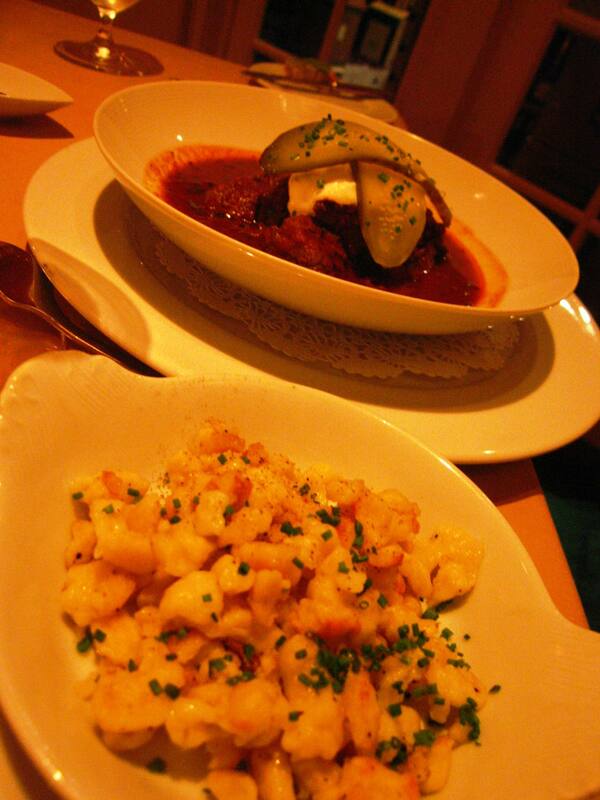 There are just a few restaurants I really love in the Lower Haight, and RNM is one of them. 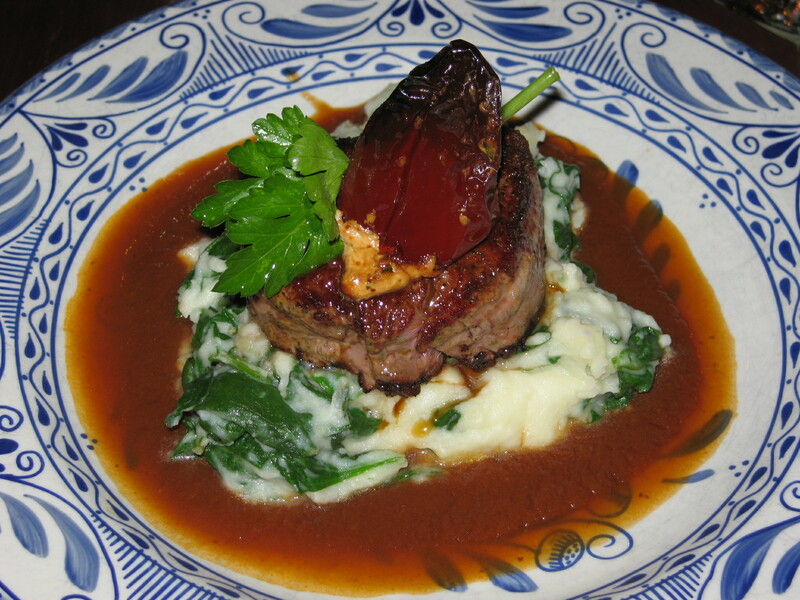 I’ve always eaten very well at RNM, and because it’s off the beaten tourist paths, it’s a great place for in-the-know tourists to dine in San Francisco. 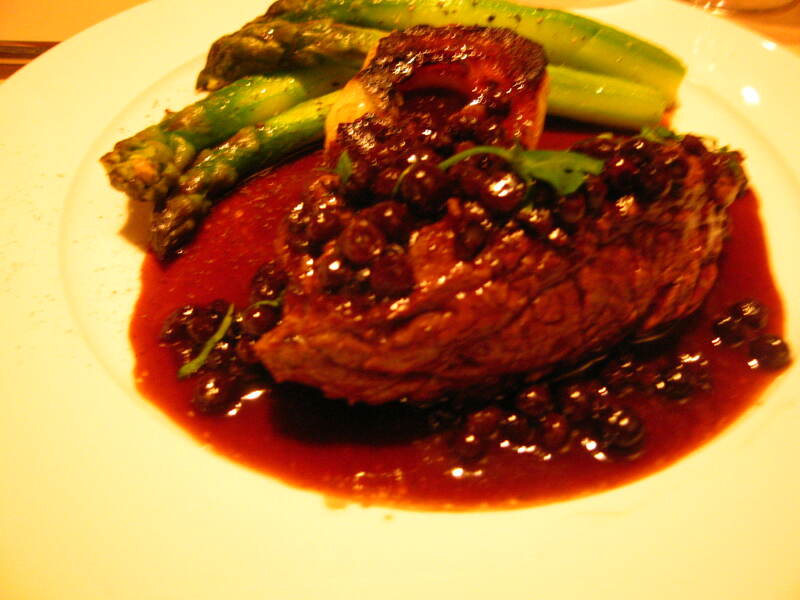 The food is consistently excellent, and I consider the portions generous, and a fair value for the prices. The Vibe: RNM has an understated urban interior that’s clean but not boring, slick but not pretentious. It’s sophisticated but not trendy, just very tasteful interior design. The Service: The service at RNM has been generally fine but not exceptional. An example: the last time we visited, our waitress was not very knowledgeable about distinctions between wine offerings on the wine list…seems like an obvious thing she should know. Not a huge letdown because the food rocked. 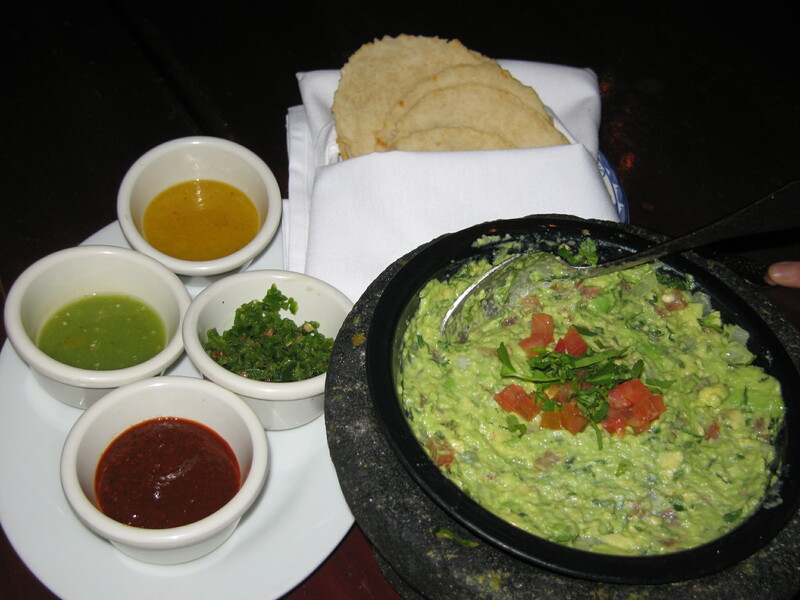 Dinner Only 5:30 to 10:00pm, Tues – Thurs; 5:30 to 11:00pm Fridays & Saturdays. 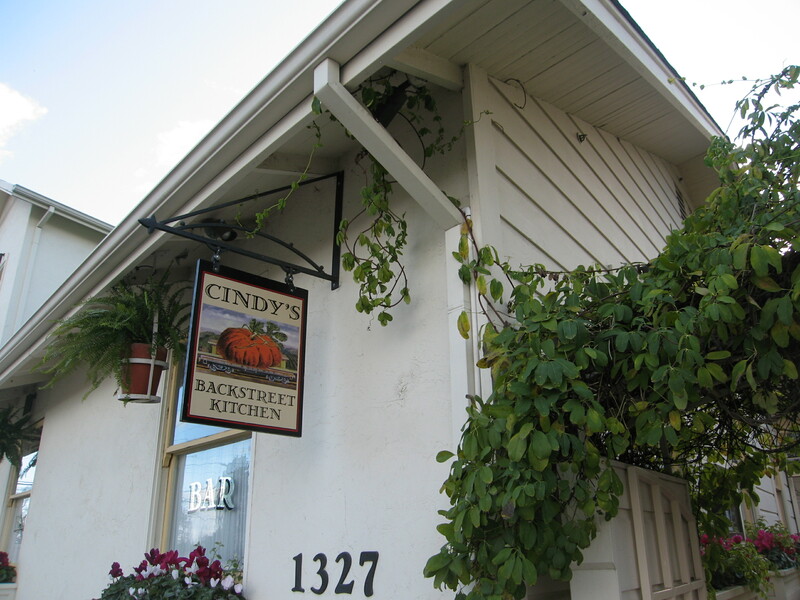 The Vibe: Cindy’s Backstreet Kitchen is a really pleasant dining environment, a charming converted home (on a back street) that feels like a Northern California version of a New Orleans restaurant. 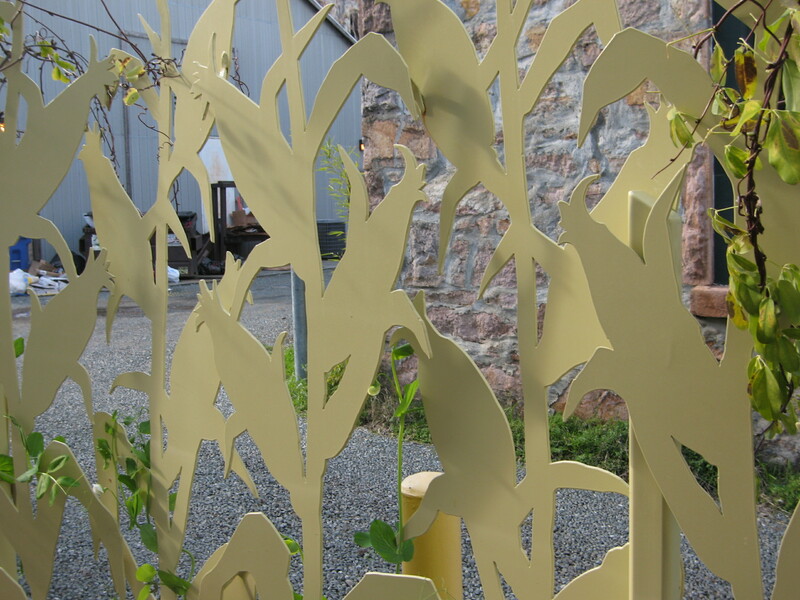 You enter through a white picket fence and brick courtyard to the door; off to your right is a clever metal gate that’s sculpturally cut like corn stalks. There’s a lovely patio area outside, two rooms and a bar area downstairs in the house, and dining rooms upstairs as well. The restaurant interior is rustic farmhouse white with black accents, awash in natural light from large windows. It’s got black and white striped fabric booths and black and white wallpaper; both feel like contemporary California interpretations of classic French décor. (Hey, a perfect metaphor for the food. We know Cindy’s smart!) There’s an eclectic (cool) art collection, including some great works in the rooms upstairs (which you can peruse en route to the loo). Negative points for leaving the barside TVs on during lunch. Ugh. Downer. Send those kids and creeps to a sports bar. Even if the TVs were off, be warned that it can get a bit loud. The Service: We must be honest: it was really, really dreadful. Even on the most languorous day, we don’t want to wait so long for someone to bring bread, for someone to acknowledge us, for them to come back to take our order, and an excruciating wait to get the check. The painfully slow service is really an issue that Cindy Pawlcyn or her management staff should resolve. Does anyone need a two-hour lunch? Even slow-moving tourists want to get to a vineyard. The Dish: Spice-rubbed quails. Occasionally, Cindy’s offers another small roasted fowl like squab (commercially raised pigeon) instead of the standard quail dish. Accompanied by roasted potatoes and a Moroccan pepper salad, it’s a decent amount of food that combines to make a savory, very enjoyable meal. You have to know that small birds do involve getting your hands dirty and gnawing. 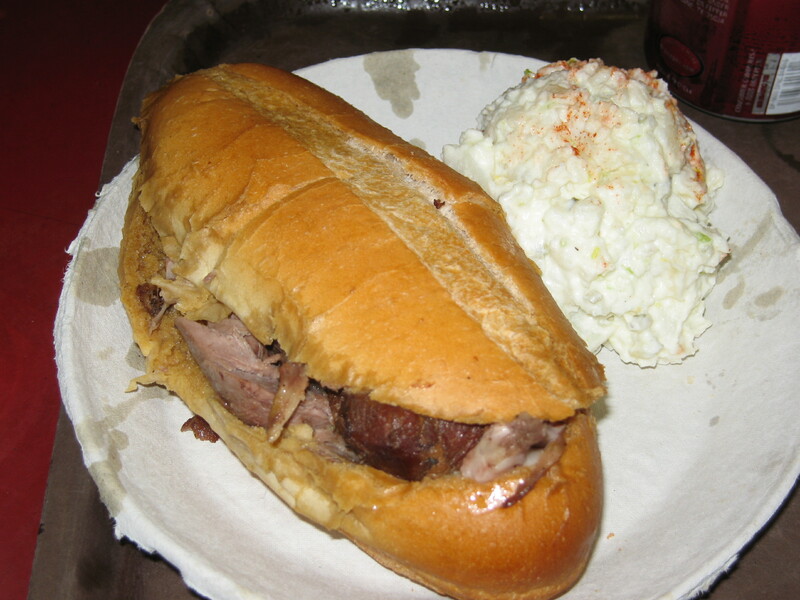 Like a rat, sort of, if you expect to get all the meat off. We’d certainly return for a small bird dish or for Cindy’s other meaty temptations (but would pray for more attentive service next time). 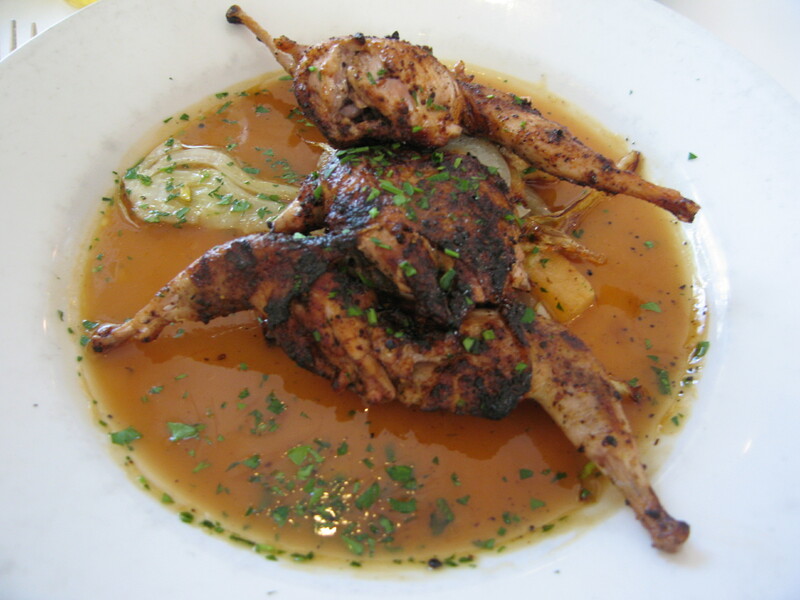 The Damage: The spice-rubbed quails are $21.95, the top menu price.